Christian Music Favs 3 - New song Videos! New! In-house Music video links for some artists. Musical genre - Unique blend of acoustic, folk, contemporary, and some rock/pop elements. INTO THESE ROOMS... Songs on this album were written with those in mind for "whom faith has not been a simple journey." I'm not the only one who loves this CD! Sarah Hart earned 4 Unity Awards: Song of the Year, Songwriter of the Year, Pop/Contemporary Album of the Year, and Producer of the Year. MADE TO SHINE - Presents a unique combination of driving piano-based acoustic, pop, rock, blues, and Gospel songs which are paired with a variety of vocal styles to match the mood and message. Read the full review. Want to buy this Cd? Collection of interesting songs where Kendall shares through her thought provoking lyrics what she has learned about facing adversity depending on the Lord to do so. Read the full review Hear the songs. Want to buy this Cd? Gary Hines (sitting on floor) and the Sounds of Blackness Choir - Inspired Creative blend of Afro-American / Gospel music. Wow! What an album! 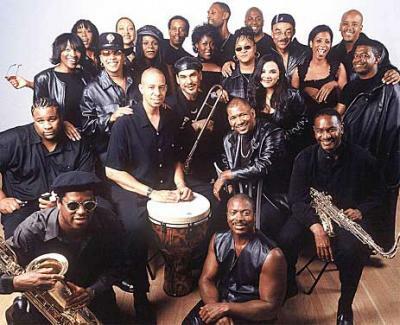 Collection includes Spirituals, traditional, urban, jazz soul, blues and contemporary ballad. 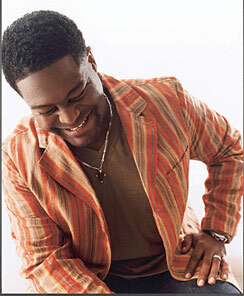 Their new CD UNITY, just won them the Stellar award for The Contemporary Choir of the Year - FEb. 2006. GLASS DARKLY - "Can You See It Any Clearer?" 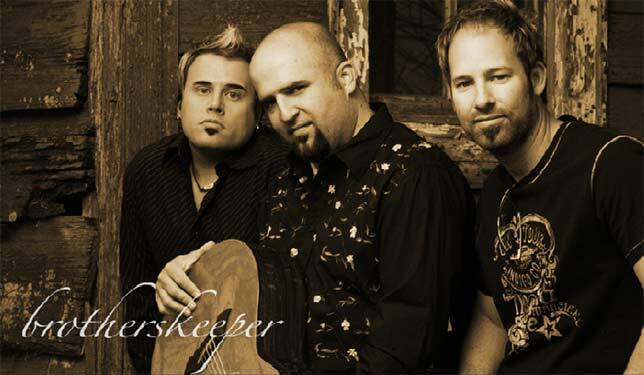 The band's passionately held vision is to show people a glimpse of God�s glory through their songs and lives. They want to reflect something of the wonder and power of God and to inspire people to go deeper into relationship with him. Their songs, whilst full on ROCK, have worship at their very heart. 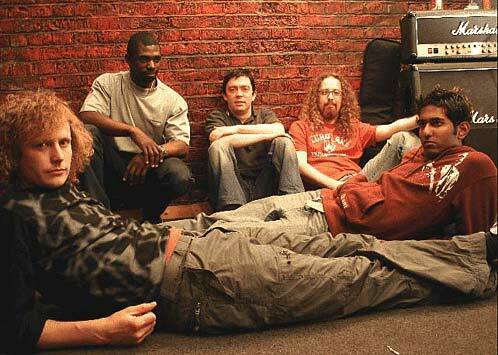 A British alternative rock group based in London combine rock, blues, soul and contemporary Christian music to offer a variety of songs used in worship services and concerts. CHANGING PLACES is a truly inspiring, entertaining, soul-feeding collection of songs, a MUST for anyone's Christian music collection! It was a real blessing to me having the opportunity to review this collection of songs. 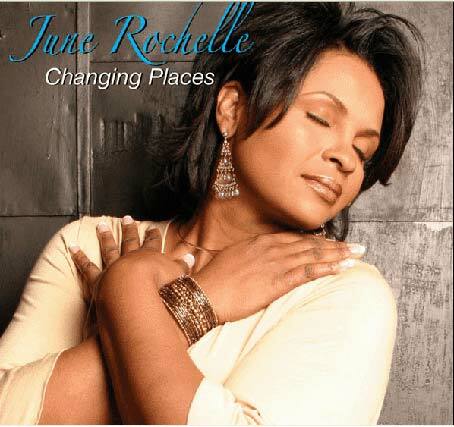 The compositions, the inspiring vocals by June Rochelle and the meaningful lyrics come together so nicely to offer one of the best listening experiences of the year. This CD belongs on my WOW! What an Album list. Read the whole review * Want to buy this CD? The Band of Brother's RAILROADS, HOBOES AND COWBOYS album is a wonderfully bright and interesting collection of American acoustic / folk / country ballads, using both contemporary and traditional musical elements found in American folk music, presented in the unique "fusion" ensemble style of The Band of Brothers. 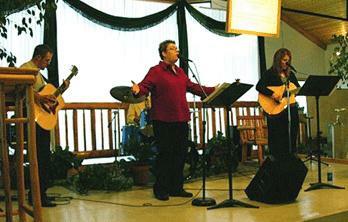 Their music entertains on a variety of levels; Musically, culturally and spiritually. 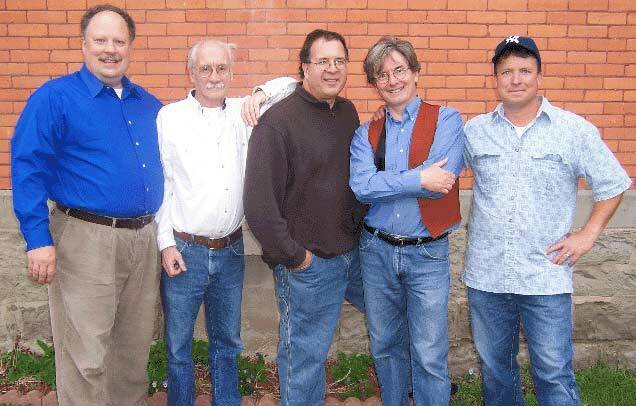 While enjoying "the fusion sound" of the fine variety of well-played, acoustic string instruments found in the band's acoustic ensemble, with a harmonica and flute added in some songs, the listener is treated to 17 songs played in the American folk genre, paired with lyrical messages, in stories covering themes which tie into the best in human relationships, the worst in human nature, and the love and mercy of our Lord Jesus. This collection of songs skillfully blends lively American folk with humor, with thoughts about our human condition and with spirituality, which comes all together, creating a most enjoyable CD to brighten up your day! Check out the full review * Want to buy this CD? The William Murphy Project: ALL DAY. Elder William Murphy - One of the highlights resulting from Elder William Murphy's active use of his musical and spiritual talents was the creating of this album, The William Murphy Project: ALL DAY. This moving collection of songs offers a variety of inspiring, intense, energizing praise, worship, prayer hymns and anthems which encourage the listener to enter into a true state of focusing on the Lord, guaranteed to lift the spirits, encourage the listener to praise and worship the Lord, if not to dance around the room! Traditional and Contemporary Gospel, Urban R& B Gospel, and Gospel blended with elements of Contemporary Christian and acoustic influences can all be found in one album! Hear more * Want to buy this CD? 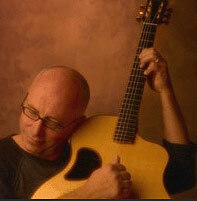 In his newest acoustic-based CD project, BIG WORLD, Bruce Carroll offers a delightful, inspiring collection of songs, which fully reflect his musical talents and a wealth of wisdom that he has learned during his long walk with the Lord, to inspire us all to step out of the proverbial 'box" and fully live for Christ, stretching our abilities in new ways, outside of our comfort zone. 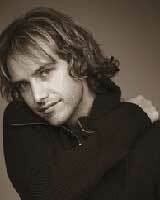 The outstanding qualities of these songs can be found in the meaningful lyrical messages told in a story telling ballad form, the creative musical compositions composed for each song and the stellar tenor expressive vocals which are rich in tone, dynamic and well performed by Bruce Carroll. Sunday Shoes has created a collection of songs which reflects their evolving ministry and their own musical and spiritual development as Christian music artists. For, THIS SIDE OF HEAVEN is truly a delightful, creative blend of contemporary, acoustic, blues, electric rock and soul, with a touch of gospel in some songs, presented in solid, strong, balanced compositions, which not only please the rock, blues and soul music lovers, but also reach out to a broader audience as well with music which will bless and uplift, fulfilling the goals of this collection of songs for a mainstream audience. Christian music artists Matt and Sherry McPherson have combined their musical gifts and talents in a team effort to create an encouraging, irresistibly upbeat and poignant collection of acoustic-based contemporary and country - pop ballads and anthems which encourage the listener to resist our secular culture's call to constant busyness and speedy achievement; an addiction which can become a chronic condition, that can rob us of the spiritual experiences of savoring life, appreciating our blessings and of receiving the Lord's friendship, love and support, which we all dearly need. Instead, their music on this album, SLOW DOWN, encourages the listener to take the time to fully receive the love and friendship of the Lord, and grow in a relationship with Him through thanksgiving, prayer, worship and spending time with Him, as well as encourage us all to slow down our pace in living and savor / truly appreciate all the blessings, responsibilities and His promises to us more fully which He has given us, and to thank him with a grateful heart. 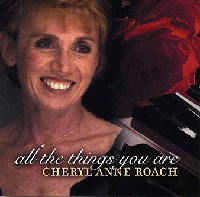 Cheryl Anne Roach - ALL THE THINGS YOU ARE CD Review - Read the whole review. What an uplifting, encouraging, romantic collection of songs, presented in wonderful musical compositions!! The cuts on this album not only inspire the listener to remember and appreciate what is loved and cherished about a spouse or significant other, but also encourages the listener with some wise advice on how to face the inevitable troubles in life, making the best of our talents and limitations, appreciating the blessings we do have! These values and attitudes about cherishing a loved one, and looking at life, come from older generations of people who survived two World Wars, a depression, epidemics and hard times, and offer hope from the power of love and positive thinking to persevere through difficult situations, and work on relationships, by remembering the positive qualities of one's partner. For Cheryl Anne Roach is an accomplished, enormously talented, versatile pianist and an experienced professional mezzo-soprano, with an open heart for the Lord and insightful musical instincts, which together have brought to life the music of each composer and lyricist. The combination of Cheryl's inspiring expressive vocals, and her wonderful piano renditions of these truly fabulous musical treasures, provide a powerful presentation of these songs by the masters of yesteryear for a whole new generation of listeners. A great pianist and vocalist not only plays the notes and sings on key, but can actually sense, think and express the musical essence of each composition in his or her repertoire. Cheryl has this gift in spades, using just the right piano technique & presence, paired with the perfect vocal dynamics and style. She has the power and coordination in her hands to play Berlin, Gershwin and Arlen, the delicate, soft touch to play Rodgers, Kern & Porter, and the dramatic instincts to fully express the emotion and musical nuances in all the songs presented. While she is playing the piano so effectively, she can also give powerful to poignant vocal performances at the same time! She truly offers an inspiring, uplifting musical presentation with clear tones, great diction, an impressive vocal range, stellar breath control, all with feeling and joy which comes from the spirit and soul. Hear More: What in the World * Want to buy this Cd? 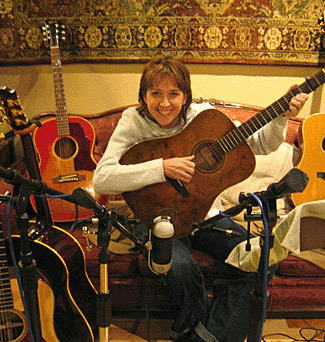 Carolyn describes this collection of old and new songs as "being a little darker" than her other more sunnier, perkier compositions recorded on her other 8 projects. For these compositions on Pollyanna's Attic are "all in some way about a dissatisfaction I hope I can accurately call a Holy Discontent." The result is a fabulous combination of rhythmically interesting, clean, well balanced acoustic compositions, all with memorable melodies, which are paired with very clever, slightly edgy lyrics which prick the collective human conscience, by carrying a truthful, honest messages about behaviors we as human beings with sinful natures all do at one time or another, which displease the Lord and hamper our other relationships as well with people in our lives, causing hurt, disharmony while also disrupting our testimony. The energy and sound thus created and Carol's wonderful vocal delivery and style offer the listener not only an inspiring, most enjoyable musical experience, but also the opportunity to reflect and examine our own areas of behavior that need improvement, which we all conveniently push aside, allowing them to lurk in our own attics! ONLY LOVE REMAINS is truly an artful endeavor for the senses and the soul, NOT TO BE MISSED. This inspiring collection of songs combines expressive nuanced vocals from the heart which express well-worded lyrical messages, with interesting, sometimes haunting melodies supported by fine acoustic ensemble efforts, sure to lift the listener up into a place of self-reflection; encouraging repentance, thanksgiving and dependence on the Lord, in order to be more like Jesus. By asking His help with struggles within ourselves, we then have the ability to change, be willing to show more love to others in service to Him more effectively, without personal baggage which sometimes gets in the way. The most stellar characteristic which most impressed this reviewer found in this collection of songs are the quality and variances of JJ Heller's "honest" vocals, which fully bring to life the meanings behind the poignant lyrical messages on a level hard to resist, by providing just the right vocal style and feeling; all which are perfectly matched and supported by the musical compositions; dynamic and well-played.. There is an honest pure quality found in JJ Heller's vocal performances which give the songs an aura which captivate the listener, gently floating the mind and soul to another level of awareness, past self-absorption into a world where love for others and self -examination are front and center. Bob answered, "BEATLES AND THE CHIEFTAINS HAVE A PARTY FOR GOD." This reviewer heartily agrees!! WHATEVER MAKES YOU DANCE is a most enjoyable, God centered joyous, musical party, offering both a unique musical sound and meaningful messages as well, sure to lift the spirits; helping the listener grow spiritually toward God while having an entertaining musical experience at the same time! What an invigorating, fun, encouraging, heart-felt and sometimes convicting in a light hearted, positive way collection of songs, which rock / bounce / flow over the listener/ with a life force and upbeat spirit, sure to bless the listener, in a variety of ways! The title, WHATEVER MAKES YOU DANCE, refers to pleasing the Lord, becoming closer to Him through spending time and being still before Him, to be led to truths, all through prayer, showing His love through helping others, and doing the right thing, being just. (Micah 6:8, Psalm 46:10, John 15:16-17). 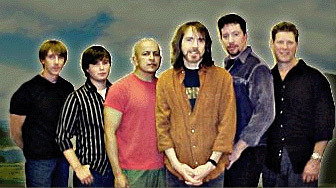 The most fascinating characteristic of these songs is how the varying degrees and levels of electric and acoustic rock blend so smoothly and creatively with the Celtic instruments, which are themselves versatile musical vehicles adaptable to hard rock, pop rock and can of course add so much to the more poignant, memorable ballads and worship songs as well, setting the table for a variety of lyrical messages and delightful vocal performances. In his promotional materials, Wayburn Dean describes these songs as being "just over the line from praise & worship – to minister to people where they are, and to give them a hunger for the things of God." 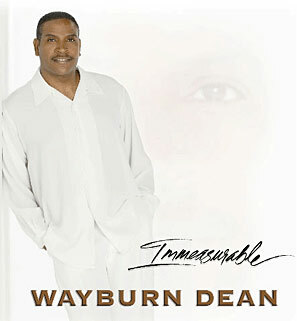 Wayburn Dean more than accomplished his goal in IMMEASURABLE. WOW! What an inspirational Gospel album of contemporary, uplifting songs of various tempos & moods and genres, which I would categorize as being the best inspirational album created by a male artist that I have reviewed in a very long time! This reviewer so enjoyed the listening experience and was inspired on so many levels it's hard to know where to start. While our human condition guarantees that we will have our troubles in this world, Wayburn Dean offers a truly uplifting, encouraging poignant album, IMMEASURABLE which can inspire and encourage anyone to persevere and depend on the Lord to not only empower us to serve Him but also will see us through anything this world can throw at us, including: tragedy, loss, bumps in the road, ugly actions of others and consequences of our own weaknesses. Using a variety Gospel music selections from the South, John Carter Cash and friends gathered, performed and created a remarkable collection of 13 well-done, inspiring musical compositions in the state of the art Cash Cabin Studio, which not only offer a truly delightful, uplifting, and most enjoyable listening experience, but also feeds the Spirit within, encouraging the believer to persevere in one's walk with the Lord, and offering Jesus to people who are seekers as well. 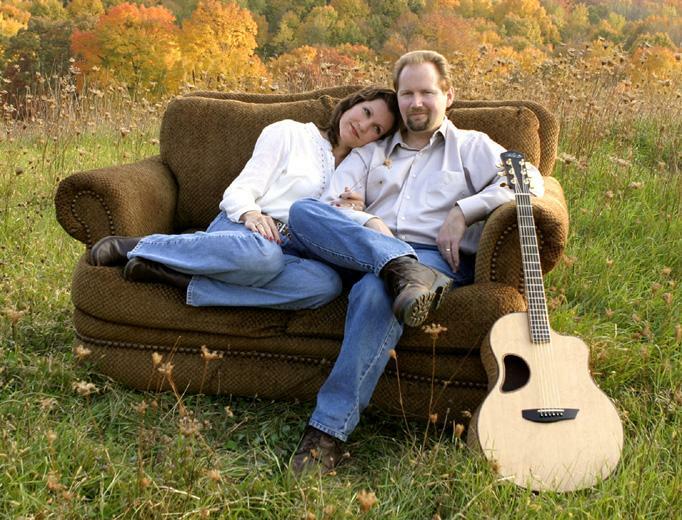 For John Carter Cash accomplished what he set out to do: Produce a collection of traditional Gospel songs, originating from the southern part of the United States, in which the listener can hear with an open heart, the voice of the Holy Spirit, offering comfort, encouragement and hope not only in our daily walk with Jesus, but with struggles, temptations and losses. What a group of artists which shared and contributed their considerable talents to this energetic album! At the invitation of John Carter Cash, (son of the late Johnny Cash and June Carter), to participate in this labor of love, up and coming Country & Gospel music artists and established, honored Bluegrass, Country, Black Gospel and Southern Gospel artists in their own right as well, came together to enthusiastically participate in John Carter Cash's marvelous project. 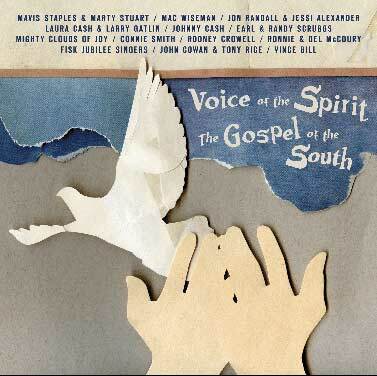 Jessi Alexander, Jon Randall, Fisk Jubilee Singers, Connie Smith, Mavis Staples, Marty Stewart, Earl Scruggs and Randy Scruggs, John Cowan, Tony Rice, Del and Ronnie McCoury, Mighty Clouds of Joy, Vince Gill, Max Wiseman and Larry Gatlin, all came on board. 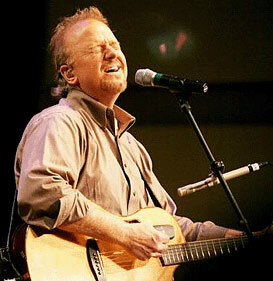 When empowered by the Holy Spirit, it is truly amazing what a single, talented individual, using his musical gifts the Lord blessed him with, and his ability to write lyrical messages can accomplish in a music ministry for Jesus Christ, on a shoestring budget, without a record label or even with a "professional" mixer and producer. 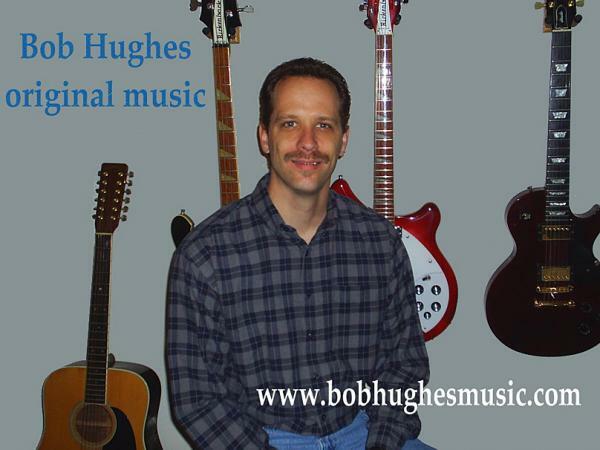 While the combined musical accompaniment sound does work very nicely in supporting the variety of inspiring contagious melodies, and Bob's heartfelt, sincere vocals, the strength and most outstanding and admired aspects of these personal ballads, prayer hymns and anthems can be found in each of the songs' memorable melodies and meaningful lyrics, which showcase Bob's strongest musical gifts and talents: Creating moving, interesting melodies, and pairing these tunes with the perfect, expressive lyrics to express the desired message of each overall theme expressed in his albums, especially Praise In Hymn. Able to be with and talk to the Lord in this world for inner peace, strength and for inspiration in doing what He asks of us, if we take the time to do so. This collection of songs represents a musical offering of thanksgiving to the Lord. Songs were written in honor and remembrance of all the women that the Lord put in Bruce's life which blessed him in some way, playing an important step in his development as a human being. WOW! It is no wonder that this collection of songs truly is "A guitar record for guitar lovers." 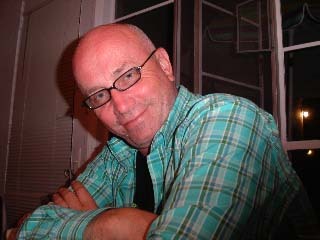 One finds a terrific combination of Bruce Gaitsch's considerable talent, experience and inspiration from the Holy Spirit in spirited to moving, poignant guitar compositions, spiced and complemented by some fine musical embellishments and counter melodies from flutes and an edgy, spirited harmonica. The marvelous instruments' sound quality come all together to create a truly inspirational listening experience; perfect to listen to when working at the computer or desk, or doing work around the house or just sitting in your favorite chair for some quiet time or a moment of decompression! JAMMED - An inspired collection of edgy progressive electric rock, recorded over the years, which offers "groove-driven funk, jazz, soul, smoky blues," with moving rock rhythms, along with some absolutely smoking electric guitar riffs and solos which soar to the heavens and back. ROUNDABOUT - A diverse and interesting collection of 17 progressive acoustic songs based on a collection of improvisational moments, compiled as sound-checks, prior to the doors opening at various concerts. Phil explains the reasoning behind sound-checks, "I do want the guitar to sound just right at the concert." DREAM AGAIN - An album which wonderfully combines his skills of expressing so well lyrically what is in his heart, and his fine vocal abilities with his considerable, creative gifts at composing, performing and producing. Goal: "My desire is that those who listen to this project are moved to understand the love of God - His love for us as individuals, as families and as humankind." Phil explains, "I think it's an album that states what's important, what's on my mind here and now in my life. The album was inspired by people in my life who are near and dear to me. It's a relationship album-about our relationship with God and with those who are near in our lives." 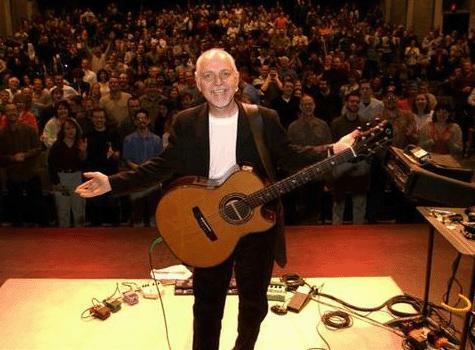 This reviewer found that DREAM AGAIN is an album with wide audience appeal, offering a creative, spirit-inspiring collection of uniquely different, memorable (traditional and progressive), contemporary guitar & guitar-based compositions and tempos; (mellow to rock, both acoustic & electric), ranging in a variety of musical styles, creating never a dull moment or a boring listening experience. Everytime I listen to this album, I hear something I didn't notice before in the composition at hand. CD SEASONS CHANGE is perfect for either personal worship time and reflection or for the worship and praise of larger groups, in connecting to God in a personal way. 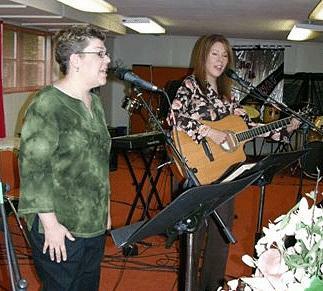 Her contemporary anthems, piano and acoustic ballads offer songs of encouragement and inspiration which have the effect of readjusting negative attitudes, giving a discouraged spirit a boost and leave the listener uplifted and vitalized, emboldened to continue trusting and depending on the Lord, seeking His face for strength, empowerment and endurance. 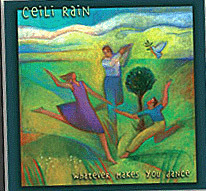 Songs with catchy, infectious to memorable melodies, straightforward tempos, solid musical accompaniment; simple yet effective in a clean acoustic or piano-based style, are paired with easy to remember yet meaningful, encouraging lyrics, all brought to life with the sweet, strong, yet soothing poignant vocals of Connie Scott in this inspiring effort. 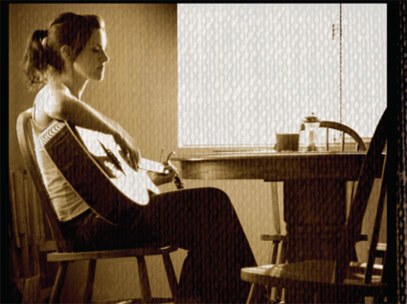 I'd like to hear some of Sara Hart! Oscar knows how to play the African drum; can you bring this music to Papa Tom's birthday party? 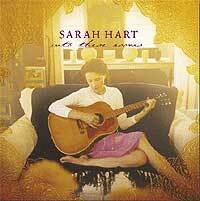 I've been enjoying Sara Hart, especially the song about Mary and Joseph! I also really like the song, "Beyond Beautiful"
The Band of Brothers sounds very intrigueing! Julie, can you post a link of where to buy these CDs if people are interested? Good idea! I will try to do that this weekend. Other smaller indie artists sell their CDs either just on their record label or their website.